Looking for a new job? Find the job that suits you with the Jobbird app! With more than 180,000 available vacancies at home and abroad, Jobbird is the largest vacancy database in the Netherlands. Every month, more than one million (!) Jobseekers visit the Jobbird website. 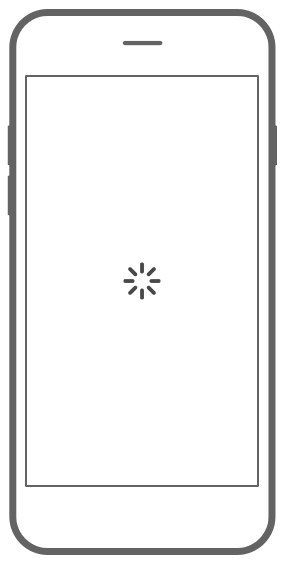 It is therefore high time for an app of the same size. With the new Jobbird app you can find all available vacancies in one place, so that you can search for your perfect job anywhere and anytime. Job seekers can log in with Facebook, LinkedIn or by creating an account in the app. Registration is done in just four steps, after which a complete user profile will be ready. Because the user is asked among other things for preferred sectors and a desired salary scale, Jobbird can show matching vacancies and the user can look for that next challenge! 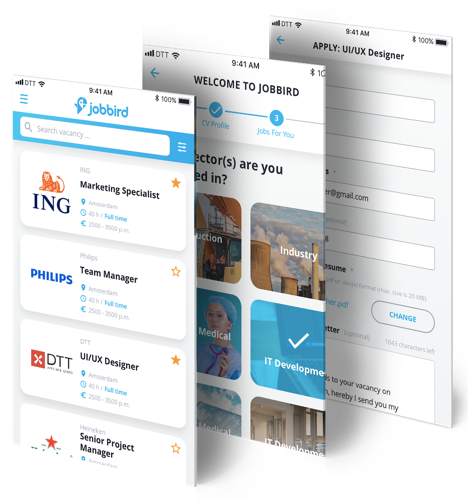 The Jobbird app will soon be available for free for iOS and Android. 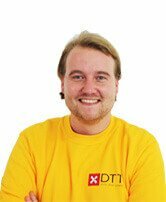 Add your resume and write a short summary about your resume. Select the industries you’re interested in and the app can show relevant vacancies for you. Step 4: Find the job you love! The jobbird app shows suitable vacancies that match your profile. Use the search functionality to search for specific vacancies. In the menu you can easily navigate to all screens in the app. Read more information about the vacancy. Enthusiastic? Applying can be done easily through the app. A handy overview of all the vacancies you applied for. Always up to date on the latest vacancies through push notifications. The notifications can be easily switched on and off.